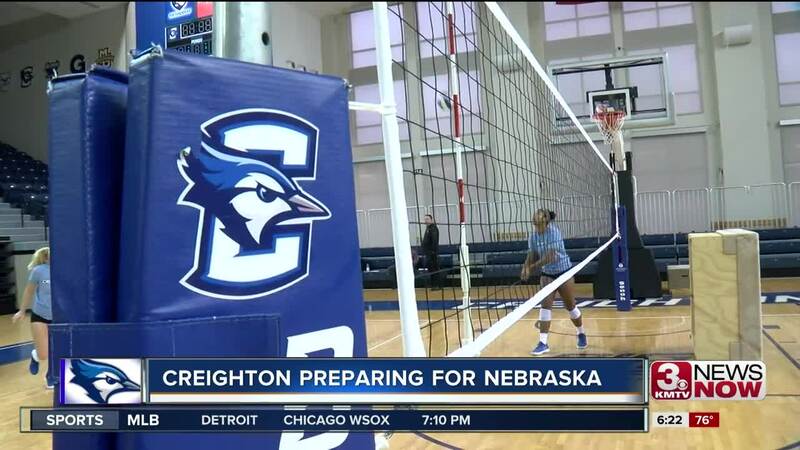 The Creighton volleyball team had a strong showing in Dallas at the SMU DoubleTree Classic, but now must turn their attention to a top-five Nebraska program. "I think Nebraska looks pretty good," said Head Coach Kirsten Bernthal Booth. "We go in to every match thinking there is an opportunity to win. We think we can beat Nebraska and any team in the country. Do we think Nebraska is very good? Absolutely but that doesn't mean we don't think we're pretty good too." With more than 11,000 fans expected to watch the game, Bernthal Booth thinks the game in Omaha is a great showcase of the state's volleyball community. "I always look at the Nebraska match as a showcase of how awesome volleyball is in the state," Bernthal Booth said. "It can be such a small state and right now we have two Top 15 teams going after each other. It's a testament to the high school coaches and both teams have a lot of Nebraskan kids and Midwestern kids so I think that it is neat to be a part of." Coach Bernthal Booth also mentioned the Jays will play in a tournament in Lincoln in 2019, with the Huskers returning a trip to Omaha in 2020. However the head coach said the teams have not signed a long-term contract due to possible scheduling conflicts in future seasons. The BIG EAST also named Megan Ballenger and Naomi Hickman its offensive and defensive players of the week. No. 14 Creighton will face No. 5 Nebraska Thursday night at the CHI Health Center in Omaha.